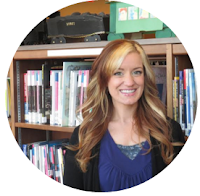 I was born and grew up in Winnipeg —a daydreamer with her nose in a book. In my twenties, I traveled around the world, mostly by ship. Later, I moved to Vancouver, where I earned a B.A. and M.Ed. at the University of British Columbia. 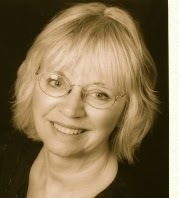 Among my jobs were travel agent, college teacher, instructional designer and editor. For years, I dabbled with writing. But I didn't begin to write in earnest until I had two young daughters. My first book was published in 1992, and I have since written more than twenty others, including novels, picture books and non-fiction. Like me, my books have traveled around the world and been published in places such as Greece, Latvia, Korea, China, Australia, Denmark, U.K., France and Poland. I live in Vancouver, a short walk from the sea. I write full-time and still love to travel, read and daydream. What kid doesn't think dinosaurs are awesome? And how many people know what to do if a stray dino just happens to make its way into your home? Okay, so maybe that's a little unlikely. 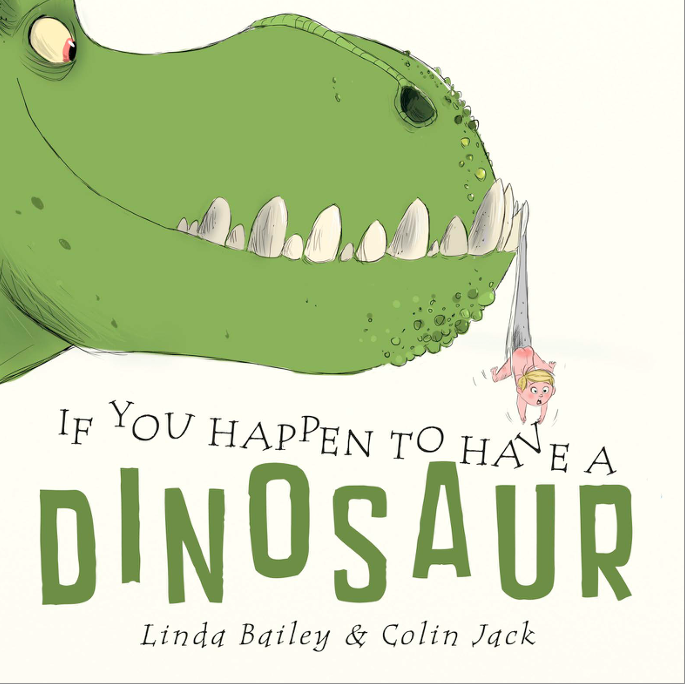 In her newest picture book, Linda Bailey coaches the reader on what to do in the occasion that a dinosaur comes to make its way into the lives, and hearts, of their family. 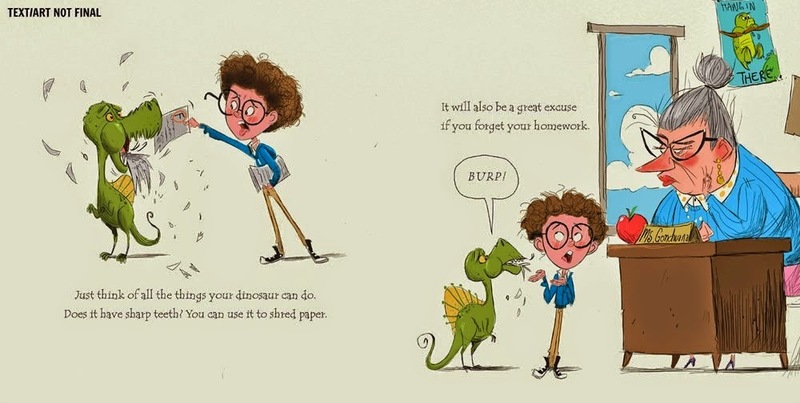 Now, when you imagine keeping a dinosaur around, it is likely that you would assume it would just take up space and cause more havoc than you need interrupting your daily routine. But you'd be surprised! They can be quite useful. It can mow your lawn, grind your coffee, serve as a burglar alarm...you can even use it as a paper shredder! However, I would advise you to keep tabs on that use with your children. There are some things you wouldn't want your dinosaur to do for you, such as carrying your picnic basket (the food probably won't make it to the destination). Some dinosaurs make better kites and babysitters than others, but that's okay. You'll figure it out. Bailey says that once you start using your dinosaur, it will be a wonderful long-term relationship! You and your family will love If You Happen To Have a Dinosaur. Bailey does a great job of delivering humor in a "serious" way. Your child will enjoy the absurdity of the book, and you can appreciate the light-hearted tone through its entirety.